OI! it's been a few months! My first reason is that i haven't been to many restaurants lately and second of all, i don't want to review a restaurant without having been there at least twice. On to this new post! True, i've only been to this place once (yesterday night for a friend's birthday), but i can't help myself reviewing it..because it's korean? haha bias, yes. If you quickly scan my previous post, you will notice that i've already reviewed a korean restaurant by the name of 5000 Ans. Well, i've just discovered that there's another one, by the same name, on St-Catherine! Unfortunately, I didn't get the chance to ask the workers there if it was owned by the same person, but just stepping into the restaurant and scanning the menu, i quickly saw that there were some resemblances and differences. I will most definitely compare both but in a separate post or it would be too confusing! The outside looks quite shabby, but do not be fooled because the inside is definitely homey! It's a hip place for a younger crowd. They have a backroom which you can rent/reserve if you intend on coming with a big crowd. The room comes with a section for karaoke, a pool table, picnic table to eat on, and a casual lounge area. And guess what? !, all of this for free! The number of dishes in their menu is of a decent size. They have a lunch section and a dinner section (which i have a slight suspicion that it is the same with the only difference being the price haha). What's nice is that they offer traditional korean cuisine and also japanese dishes (obviously koreanized!). I couldn't resist and ordered myself up some beef bibimbap! (rice, vegetables, raw egg, hot sauce, kimchi, all in a hot pot bowl). Some of my friends took the korean BBQ, others took ramen, soba, etc.. They also offer desserts such as green tea ice cream with dagwa (korean biscuit). -Dolsot bibimbap (you all know how much i love my bibimbap). Unfortunately, i didn't taste anything else so i can't suggest to you other must-trys! I believe the KBBQ is (also) 30$, the bibimbap is 12,99$. Again, this rating is subject to change as i've only been here once. However, i'm going there again next friday and will give an update! Be on the look out for my next post for the comparison of both 5000 Ans! I am not dead! don't worry...unless there's actually no one worrying about me *sob*. I just wanted to write a quick note to say that i haven't been able to make any new posts yet because i am swamped with end of semester work at uni! Thus, i haven't been able to eat at any new yummy restaurant. When i do get time, I might do a review of a bakery or an old restaurant i always go to. In the mean time, if you have any suggestions, please post them below! Hope everyone is in good health! Winter is coming so put those hats and scarfs on! We all know about St-Denis being an ideal location to wander around for restaurants, bars and vintage shopping excursions. However, we must not forget Mont-Royal which also delivers flavour to Montreal. The restaurant L'Avenue is one of the best place by excellence to get your healthy meal to start your day. In fact, they are so famous for their breakfast that it is available to you until 4pm! Not a fan of breakfast? Rest assured! they also serve dinner! I've been to L'Avenue several times and it never fails to amaze me. Find out why in the next section! When you step into L'Avenue, you step into another world! As you could tell from the picture above, L'Avenue screams audacity. The decoration of this place is unique and contemporary. And they change it almost every season. But in a few words, L'Avenue is Sin City. The walls are spraypainted with a motorcycle hanging from the ceiling, on the verge of falling on top of you at any moment notice! It fits in Mont-Royal's hip & chic atmostphere. To be noted that at night, the lights are dimmed-down to enhance the ambience, so if you want your company to be able to see the decor appropriately, then eating in the morning or when there is still natural lighting is adviced! Besides it's decor, the menu is also fitted. It is also elaborately designed to go hand in hand with the surroundings. As you can see below, it's comic book-like. They have changed it and now it is in a newspaper format with fun headlines to read while waiting for the waiter. I will at this point dully notify you that L'Avenue is not a place for those who are impatient as there is a line-up expected. This place is so hip, you don't even have to ask why there is one! Finally, another thing that is not to be missed when going to this restaurant is the restroom. You think entering L'Avenue is wild enough, wait until you step into the restroom! It is very dark and the lighting is red-tinted. I wouldn't suggest you going in there if you have very bad vision. But this restroom is also themed and let's just say that it's give you the impression that you just entered a filthy bathroom on the corner ally near a gas station (it's not literally filthy...but you feel dangerous and wild hahahaha). As i raved about earlier, you can get your breakfast or dinner. For dinner, there is a bit of everything, from pasta, to hamburgers, to sandwiches, to thai dishes. From this post on, i will instore the $$$$ rating system as other sites have so you can get a better idea instead of just telling you it's in your price range or not haha. Do you have guests, friends, girlfriend you want to impress? Bring them to L'Avenue, there won't be a dull moment! I would've given a perfect score but i included the potential line-up factor. I do hope you are patient enough because it's worth it and if you really don't like the idea, then simply go at another time (i.e. : not between 10am-1pm). This time i will blab about the mid-autumn festival! It is celebrated in different eastern/south-eastern countries of asia between the months of september and october. Let's also discover the yummy foods people get to eat! Please do note that i am not knowledgeable in every celebration and am only summarizing what i find interesting from experience and online researches. I may omit certain steps in the celebrations and i do not intend to offend anyone by doing so. Without further ado, let's celebrate the mid-autumn festivals! These are the names of the mid-autumn festival in Vietnamese and Chinese! It is also known as Moon Festival in China. I decided to start with this because i'm viet and i never review viet restaurants haha. I also grouped these two celebrations together because they are pretty similar. 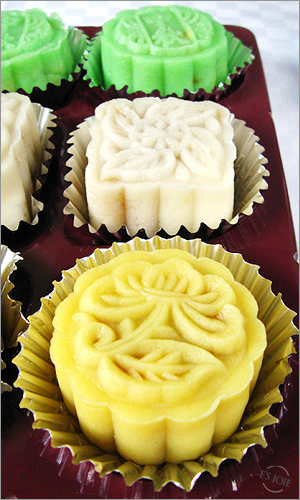 Mooncakes are THE thing to eat when celebrating Tết/Moon festival! They are round or square pastries coming in a variety of fillings (sweet bean paste, lotus paste durian,etc..) and salted eggs. It is also imprinted on top with words in traditional characters such as "longevity" and "happiness". They would carry lanterns and wear dragon/lion costumes and walk around in line while singing happy kids' songs! 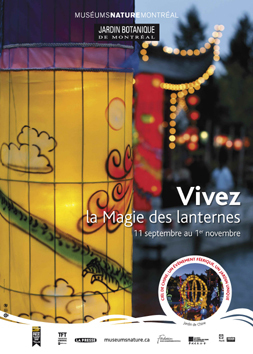 Montrealers are able to experience the magic effects of the lanters by going to the event given at the chinese garden of the Botanical Garden every year! This is the Korean version of the harvest celebration! Also known as korean thanksgiving. Koreans don't only celebrate with festivities but they also use this moment to do offerings to the spirits and ancestors. Korean ricecakes half-moon shaped and filled with sweet fillings (sweet bean paste, honey, chestnut paste,etc..). Mothers and daughters would make themselves pretty and dress in hanbok (traditional korean clothing) and dance in circle while singing. 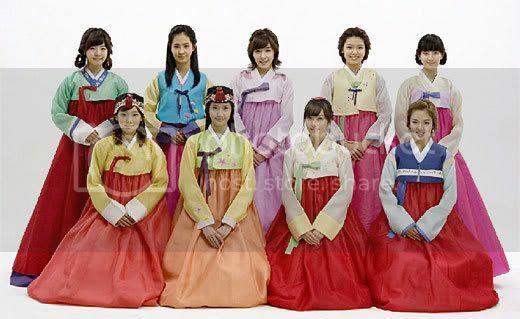 Here's So Nyuh Shi Dae (Girl's Generation) dressed in Hanbok! While the previous celebrations were for havesting, the Japanese celebrate moon-viewing in mid-autumn. Also in comparison to the other, it is a much quieter celebration. Japanese first set up a table decorated with pampass grass, chestnuts and dango and other optional items to serve as offerings to the moon. 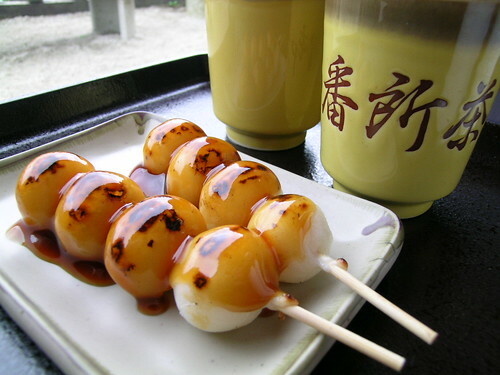 Dango are japanese dumplings made of rice flowers and come in different flavours. Happy Tết, Zhongqiu Jie, Chuseok, Tsukimi! Do you go nuts for nuts? Haha, alright i admit that was lame but i couldn't resist! I will unfortunately be reviewing less restaurants since school started and i'm on a budget crunch! Have you ever gone to the supermarket, passed by the "nuts and dry fruits" section and gotten a sudden crave? Yet, it goes away the moment your eyes land on the price! Well my sister's friend recommended we go get our nutty cravings satisfied by going to Cananut. Sadly, i forgot to bring my camera so i couldn't take pictures...oh boy did i want to take them! The place is amazing! you step in and there are bins filled with different nuts, rice and spices. You get your favourite nuts (pistachio,walnut,hazelnut,sunflower seeds, pumpkin seeds,etc..) in different flavours (lemon, BBQ, mixed,etc..). They also come salted, half-salted and unsalted. Fill up a plastic bag with your desired amounts and off you go!